Over the next month and a half, I have the great pleasure of being able to travel around to three wonderful facilities in Perth, NZ (Hamilton), and South Korea teaching the Original Strength system. Interestingly, on each of the following days, I’ve ended up teaching a completely different workshop. In Perth, I’ll be teaching the GMB Elements program. 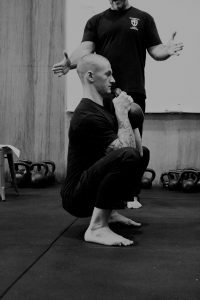 In New Zealand, I’ll be running a beginner kettlebell workshop based on StrongFirst principle. And just this past weekend, I was in South Korea demonstrating how I utilize Original Strength to gain value from the Functional Movement Screen. The great thing about each of these workshops, is that Original Strength blends and supports each of them seamlessly… it is the super simple secret sauce. In this article, I’m going to go sequentially through the workshops that I’m presenting, and demonstrate how Original Strength undergirds my application of the other disciplines. I’m going to try and use a bit of depth in each setting to demonstrate why I do what I do, so if you’re not interested in something or are not familiar with a system, feel free to jump to one that you are, as each section will behave fairly independently. The first workshop, coming up on the weekend of the 20th of July, is in Korea. Korea has a great strength culture with many of the people that I know from Korea moving beautifully, having an interest in long term health, and having gained knowledge from reputable sources. 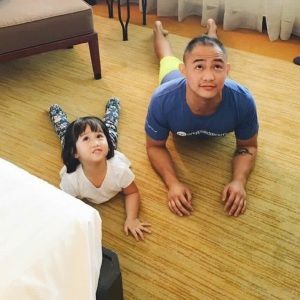 In particular, the StrongFirst and Functional Movement community is very strong over there, so I felt like people would gain the greatest value from how I integrate Original Strength into a class setting, as well as how I can create dramatic lasting shifts in people’s FMS scores, often within a single session. The story that comes to mind with regards to shifting an FMS score, comes from a triathlete named Adam. Adam came into my facility at Queensland Kettlebells and had a definite 1/1(restricted range of motion) on his active straight leg raise (ASLR). I applied a version of the Original Strength Screen and Assessment afterwards, while measuring the shift in his ASLR after each progression. If we got a positive shift of a reasonable size, then we wrote it in his plan. Essentially, we spent 45 minutes developing a plan for Adam that followed the FMS protocol of test, apply correction (in this case the resets) and then retest, searching for positive application. By the end of the session, Adam was comfortably producing a 3/3 (great range of motion) in his ASLR. In essence, I had simplified the application of correctives by following the incredibly simple resets (breathing, nodding, rocking, rolling, crawling) and then finding the ones that worked – which wasn’t hard. The Original Strength ideas first found traction in the hardstyle kettlebell community (people from organisations like StrongFirst who follow the principles that are taught by Pavel Tsatsouline) when Tim produced Becoming Bulletproof and people started to play with this crazy crawling thing. It did so for a reason. People in this community were already focused on efficient training and were looking for a system that would help people to quickly and efficiently juice their training in order to feel better while they lifted heavy things. It really went crazy though after Geoff Neupert used the OS stuff to rehab his body and worked with Tim on the Original Strength book itself. The system started to appear clearly from the information, and it was around this stage that I got really, really interested. I can still remember the first Original Strength event that we held here in Brisbane. We had a number of people who had been training with kettlebells and barbells for years who attended the event with various niggles, one had a bad shoulder, another one had a back issue, and so on. As the day progressed, I wasn’t sure whether to laugh or cry when I realised that this single two day course, had rendered all of the corrective exercise learning that I had done previously largely redundant. It wasn’t that the other stuff wasn’t effective or valuable, it was. It’s just that the Original Strength system was way simpler and was more effective. Seeing those issues melt away from experienced trainers with miles on the clock and seeing people’s utter joy at their increased quality of movement across the first eight hours of the workshop blew my mind. This workshop is designed to teach people how to leverage their new found reflexive strength and range of motion by using the industry leading StrongFirst principles. For anyone who lifts weights, and who isn’t familiar with StrongFirst’s stuff, this is eye opening. It isn’t a StrongFirst course, but in my opinion, it’s dramatically better than any other course I’ve seen outside of the StrongFirst and DragonDoor curriculum. Late last year I took the plunge to step outside of my comfort zone and enroll in the GMB apprenticeship program. It was a lot of training for around three months, one to three hours, six days a week for twelve weeks. I found it grueling. 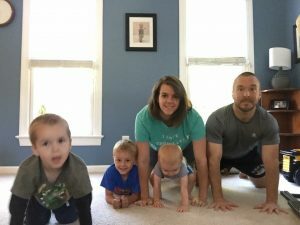 We covered a number of different topics including handstands, stretching, locomotions, strength training, and movement exploration, and it was fantastic. I got to the end of the program and could still press the bell I was pressing beforehand, my shoulders felt great, my hips felt great, and I was moving really well – not a given if you’re training that much alongside a fairly stressful work period and a bunch of projects. The two programs that I enjoyed the most were Elements, and Vitamin. These programs were programs that focused on enjoying movements and self expression, and they built wild amounts of movement competence. I could easily have taught either of these workshops after OS. Both of them get us low to the ground moving our body and testing our limits in different novel ways. Both of them, I believe, are greatly bolstered by the understandings taught in the Original Strength course. When I added the ideas of breathing and cross crawls, I felt like my progress accelerated, and I also felt like many of the movements adhered to the three core Original Strength principles (diaphragmatic breathing, cross body patterning, and vestibular stimulation). Importantly, virtually all the movements brought along their sense of fun. In many ways, you’re going to see some redundancy between elements and Original Strength. They both help your hips and shoulders feel connected and strong, they both develop your sense of body awareness, and they are both really accessible for almost everyone. In my opinion though, the Original Strength movements provide a lower entry point, and the Elements program provides extra movements for our movement library – something that is really very valuable. I like the variations offered by Elements. Monkey is a brilliant hip opener that when you play with, allows you to get in heaps of reps of squatting without it feeling like a chore. Bear is a great movement for hip and shoulder strength, as well as for developing that connection (it plays differently to leopard crawling and when done the GMB way, it’s a fantastic auxiliary movement). Frogger is a hinge movement that is really good for developing motor control and also for opening your hips up as well. In other words, the Elements curriculum is a really simple enjoyable way to get in medicinal movements that we all need, but that many people often neglect. Could you rock, roll, and nod? Yes, but at some point, it’s nice to do other things along with your big 5 practice. In fact, that’s why we do our big 5. We are made to move, and the GMB curricula, particularly elements and vitamin, are a really fun way to do that. Over these next couple months, I’ll be teaching Original Strength, a system that is built upon the belief that we aren’t meant to be broken, decrepit, and held back by our body. The diverse workshops that I’m teaching afterwards demonstrate that once you have regained your reflexive stability and begun to move the way you were designed to move, that you get to choose how you use your birthright. We are made to move. Original Strength allows you to do that however you want to. Whether that’s with weights like kettlebells, bodyweight training, football, or playing with your family, regain your movement, and do it again! 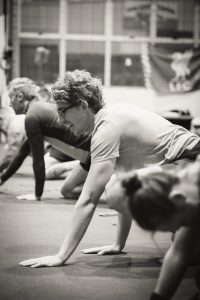 Piers is an experienced coach, and OS Instructor, who is sought after for workshops both locally and internationally. He has worked with athletes of all levels and has extensive experience in presenting information both individually and to large groups. Piers is a StrongFirst SFG 2 who has assisted at numerous kettlebell events with leading instructors. He has also done his Certified Kettlebell Functional Movement Specialist certification, and his Ground Force Method instructor course. Alongside this he is an accredited coach for athletics and basic gymnastics, and a graduate qualification in Secondary Education… and we think he is just pretty freaking awesome… oh and we like to hear him talk. Great post Piers! I’ve found the exact same thing with the FMS. The correctives taught by FMS are fine….it’s just that the OS resets don’t require the level of teaching and instruction. They are easy to implement and the effect is both immediate and lasting. Great article Pierre. I am interested in getting the Elements program from GMB later this year. Any suggestion on how to use OS resets while doing it?